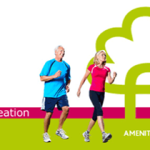 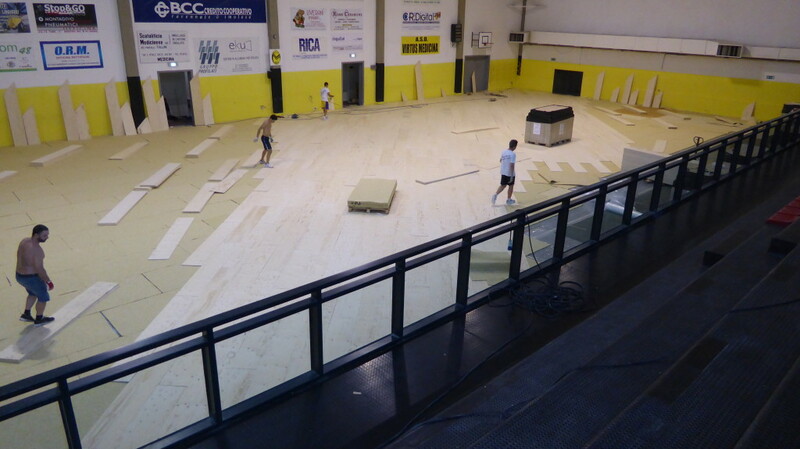 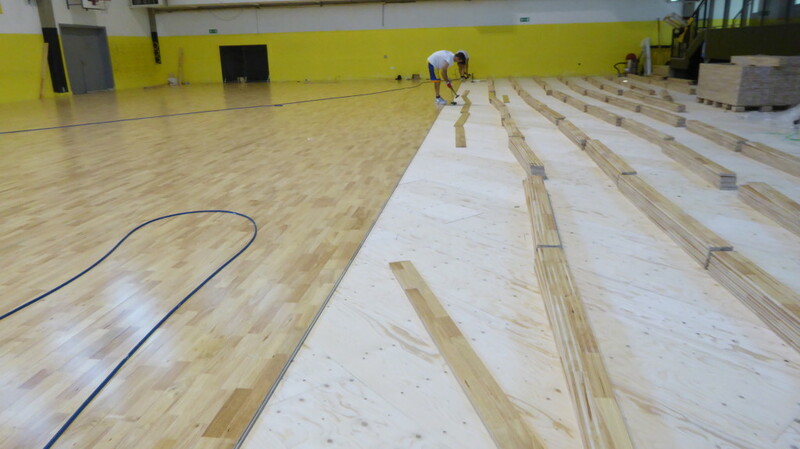 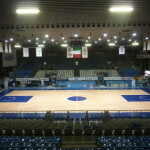 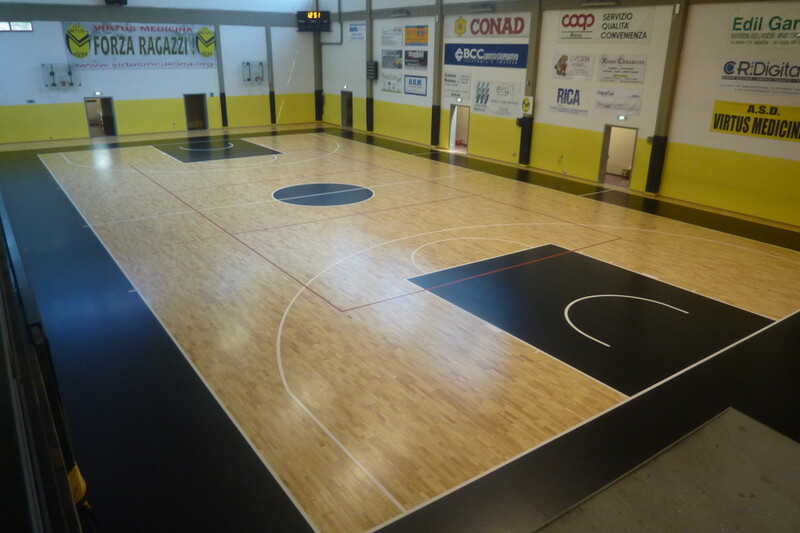 Replacement of sports flooring in Medicina, a small town of Emilia a few steps from Bologna (Italy). 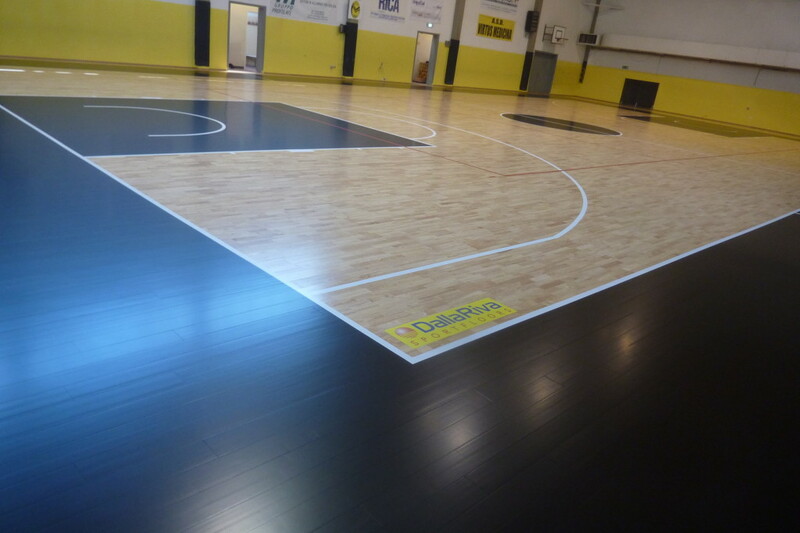 The brand DR intervened because the old pavement of a municipal gym looked very worn and was no longer able to hold the bounces of the ball. 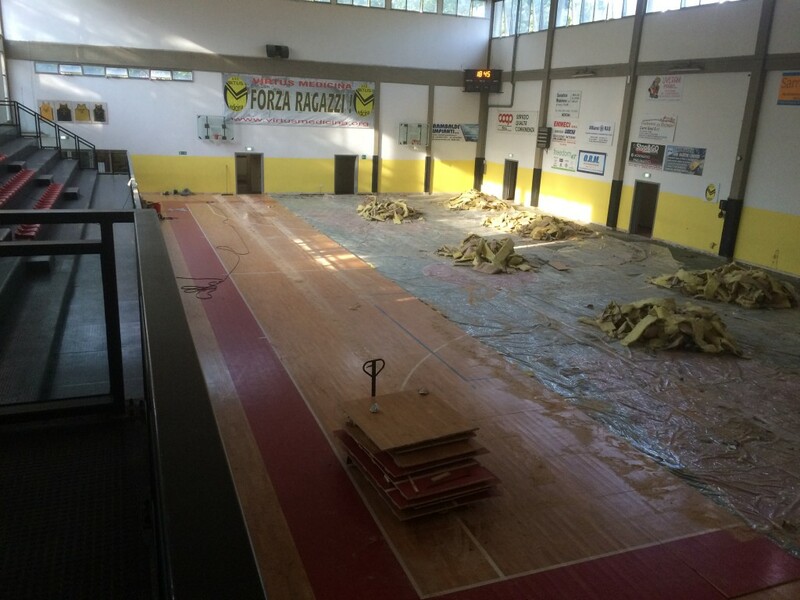 The team of Dalla Riva Sportfloors, in just 5 days, has removed the very damaged wooden surface existing offering a wonderful model Playwood Rubber 22, one of the flagships of the wide range of sports flooring available. 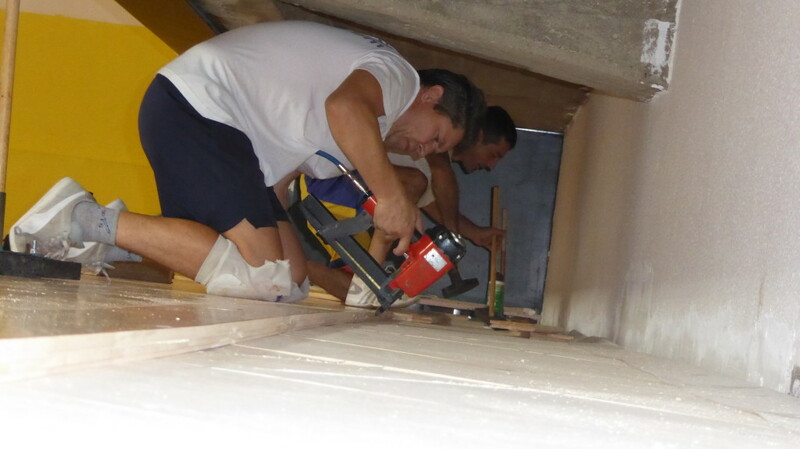 A little ‘as moving from “rags to riches” especially because, among the most outstanding technical features put in prominence from the bottom installed, are just bouncing ball and an elasticity corresponding to the highest levels.